Yes, the GOP’s new chairman needs to raise money. But his biggest challenge will be rebuilding the ground game, which cost Republicans precious seats last fall. All but a handful of the 168 members of the Republican National Committee (RNC) wanted Michael Steele out, but the race for GOP chairman still took six ballots. While Wisconsin Chairman Reince Priebus led every round, he won the final one with 97 votes, just 12 more than he needed. The candidates largely agreed on the problems of the Steele era and many of the answers, but doubts lingered about every contender. Priebus’ advantage came from early endorsements by some of the committee’s respected figures, including Henry Barbour and Alec Poitevint, the national committeemen from Mississippi and Georgia, respectively. Enough committee members concluded if Reince was good enough for Henry and Alec, he was good enough for them. Now comes the much harder part. The RNC is not just broke: it’s deeply in debt and reportedly without enough money to make payroll when the balloting began last Friday. The RNC has seen a nearly $50 million swing from almost $25 million in the bank when Steele became chairman to more than $21 million in the red when he left. The GOP HQ is likely to see checks roll in this week from donors grateful Steele is out, but it’s hard to raise money to pay off debt. Priebus has told GOP insiders he understands the RNC’s grave financial position and will work the problem from both ends. He’s already fired Steele’s picks to run the 2012 Tampa Republican Convention. They were hired and dispatched to Florida last summer, more than a year before is customary, and immediately began running up big housing bills and other expenses. Priebus has also begun an extensive outreach to the GOP’s fundraising pooh-bahs to explain there’s a new fiscal regime in place. No more bloated entourages, sweetheart deals, and lack of financial oversight. Priebus has begun an extensive outreach to the GOP’s fundraising poobahs to explain there’s a new fiscal regime in place. No more bloated entourages, sweetheart deals, and lack of financial oversight. Despite Chairman Steele’s gaffes and financial shenanigans ( like the big bar tab at a lesbian bar in L.A.), the RNC has seen healthy increases in direct mail and Internet giving. But this wasn’t matched by a growing total of larger gifts of up to $30,400, the limit for what the Republican and Democratic National Committees can accept. Steele didn’t do what a national chairman is supposed to do: spend lots of time on the phone begging. Successful party chairmen spend half of their life on the phone or visiting major donors, making the case for checks from them and others in their rolodexes. This wasn’t Steele’s style. It will have to be Priebus’ style—and the major proven fundraiser he recruits as RNC finance chairman. There’s nowhere to go but up. Steele once tried to recruit a candidate for the finance job by promising to give a speech wherever the prospect wanted him to go. The guy turned Steele down, believing that if the chairman thought his making speeches was what made the cash register ring, Steele didn’t understand fundraising. Then there’s the RNC’s political role. The good news for the quiet, almost shy but personable new chairman is he doesn’t have to do a lot of television. There is a phalanx of presidential candidates and congressional leaders to take on that task. He must focus on rebuilding the party’s once-vaunted ground-game operations handling voter identification, registration, and get-out-the-vote (GOTV). The “72-Hour” or “Victory” program depends on volunteers drawn from local and state party committees and candidate campaigns. But only the RNC can provide the direction, training, technology, and metrics to guide these massive efforts. And the RNC’s cash flow is necessary to top off state party budgets in battleground states. Coming from Wisconsin, a place with a strong tradition of grassroots GOTV activity, Priebus knows all this is essential. The GOP lost dozens of close contests in 2010 because the RNC provided only a fraction of the funding for “Victory” efforts that it has in years past. From more than half a dozen congressional races to gubernatorial contests in Vermont and Connecticut to Senate races in Nevada and Colorado, the RNC was virtually AWOL on get-out-the-vote efforts. Restoring the RNC’s effectiveness requires time, discipline, leadership, and money. The new Republican national chairman has time and appears to have the needed discipline. Whether he gets the job done will depend on his leadership and fundraising. Those on the RNC who know the new chairman think Reince is up for the big job. Lots of 2012 Republican hopefuls up and down the ballot hope that’s true. Count me as one. I made my contribution today online. Talk about change bringing hope. 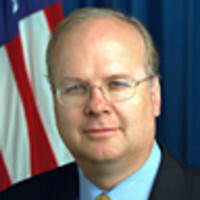 Karl Rove served as senior advisor and deputy chief of staff to former President George W. Bush until 2007.